You are a ray of light on your way to the top! To match your incredible energy, you need the jet black Speedo Ravenswood Men’s Jammer featuring a vibrant ray of electric cherry red laser beams radiating down an accent leg with a bold red accent Speedo logo at the hip. 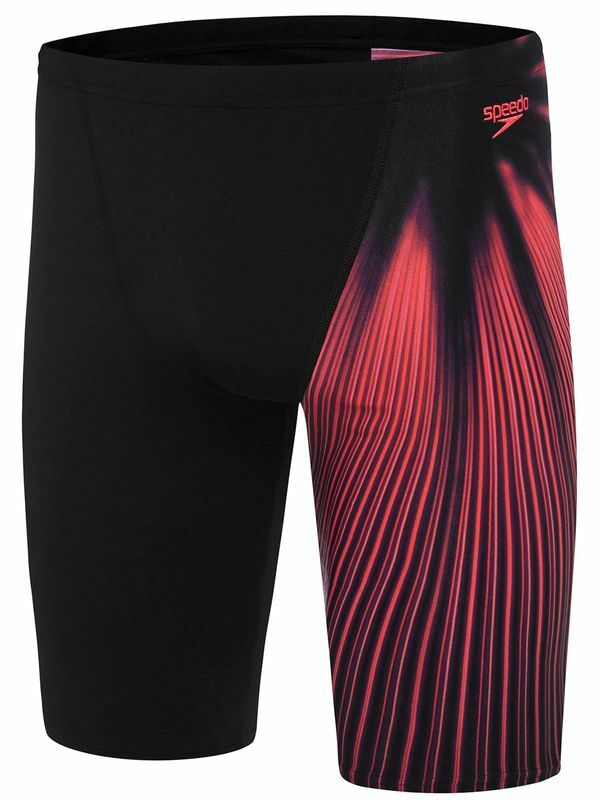 More than just a cool look, the Speedo Ravenswood Men’s Jammer has it all. The best selling swimwear brand in the world, Speedo’s amazing Endurance+ is unbeatable- literally! It outlasts the average swimwear fabric with an incredible 20 times more durability. This chlorine resistant material prevents sagging and bagging to keep your new jammers looking flawless through countless swim training sessions. Ravenswood Mens Jammers manufactured by Speedo Swimwear the worlds leading swimwear brand. Speedo is passionate about life in and around the water, creating revolutionary new technologies, designs and innovations.